If you’ve ever tried to lose weight, you’re surely aware of how difficult it can be to stay on track. Treats at the office, a busy schedule, and high-stress situations can all provide the ideal conditions for your progress to become derailed. At Men’s Vitality Center in Tucson, we’re dedicated to helping men in Arizona lose weight and live healthier lives. We offer a number of men’s health services, including testosterone replacement therapy, diabetes management, and weight loss management. Contact our office today to schedule an appointment—we’d love to help you restore your health and live a better life. Take the first steps toward a healthier life with these tips! Regular exercise is a cornerstone and non-negotiable element of weight loss, but staying active throughout the day is equally important. Try taking the stairs rather than using the elevator, and try parking further away from your office to get some extra steps in during the day. If you have a long lunch break, try taking a walk around the perimeter of your office while listening to your favorite music or podcast. Staying active during the workweek may require a bit more effort on your part, but you’ll feel better and have more energy throughout the day. The same principle applies when you’re done with work for the day—try to work some short walks into your schedule during the evening or on the weekends when you have more free time. 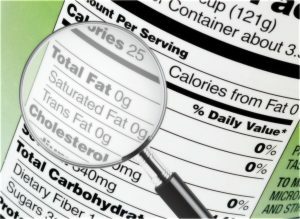 Have you ever read a label, only to be shocked and surprised by the amount of sugar your favorite food or drink contains? You’d be surprised to find out how much sugar and unnecessary filler ingredients are packed into drinks, condiments, and prepackaged foods that probably fill your fridge and cabinets. Read your labels to see if there are any foods that may be hindering your weight loss goals. No matter how much you exercise, you can’t outrun your fork. Eating the correct amount of calories each day is a crucial component of your success, and using a smaller plate can help you eat less. Even if you’re hungry and go back for seconds, studies have shown that we tend to eat less food when we use smaller plates. One of the best ways to improve your weight loss efforts is to drink more (water, that is!). We often confuse the sensation of being thirsty with being hungry, so try drinking a glass of water the next time you feel like having a snack. Almost none of us drink enough water to stay adequately hydrated during the day, so drink more water throughout the day to see if it curbs your hunger. Even if you’re still hungry after 20 minutes or so, you’ll be closer to being hydrated. Invest in a bigger water bottle and make a few more trips to the water cooler each day—your body will thank you! While dieta soda can stop you from ingesting large amounts of refined sugar, the data show that diet soda drinkers are at a higher risk of becoming overweight than non-diet soda drinkers. While this may sound counterintuitive at first, the explanation for these data is that the artificial sweeteners used in diet soda products disrupt the body’s ability to regulate appetite. This means that diet soda drinkers are more likely to feel hungry and overeat, even if their bodies don’t need the food they’re consuming. We hope that these tips will help you to be successful in your weight loss journey. 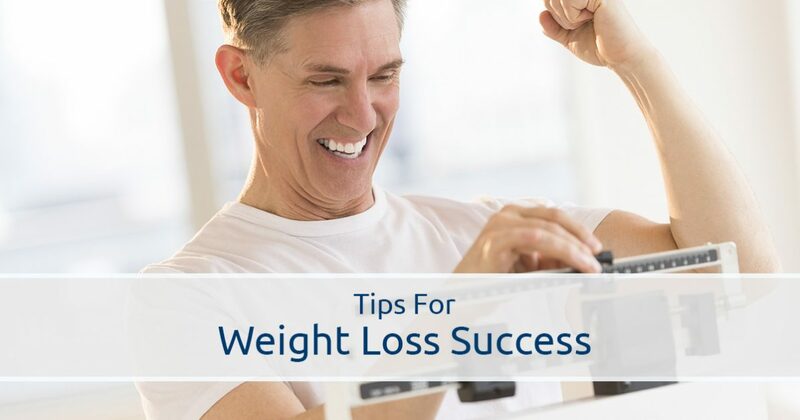 Stay tuned for future posts in which we’ll continue to provide you with additional tips for weight loss success. Men’s Vitality Center in Tucson is here to support you, no matter what your goals are. We want to help you live the best life possible—get in touch with us today to schedule an appointment!